Here we have provided some links that may be of some interest to you. If you would like to add a Falconry / Hunting / Dog / Fieldsports related link to this site, please contact our Webmaster. Worried about your bird? - check out Vet Help Direct's interactive questions to direct you to personalised first aid advice and clear guidelines about when to contact the vet. Chrissie�s Owls are a small group of people committed to the care and conservation of Owls. We attend large country shows all over the country and also go to fetes and other events. For Rescues please contact Chrissie and Tom Harper via telephone. Falconry experience days, corporate events and educational talks. Set in the captive heart of rural Wiltshire and the stunning scenery of Lacock. An interactive Falconry centre and animal farm, with Falconry experience days and half days, hawk walks, courses, animal activities, horse riding, and open to the public throughout the year. High quality and educational flying demonstrations, talks and presentations for county shows, fairs, festivals and schools and colleges. 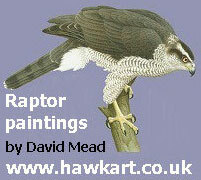 Suppliers of high quality Hawks and Falcons throughout the World. Meetings on 2nd Sunday each month at 10.30am. The Junction Inn, Groombridge, Kent. The International Owl Society (IOS) was formed to provide a world wide forum for all of those interested in Owls. Membership is open equally to Owl enthusiasts, keepers and breeders as well as the scientific and zoological communities. Visit our new website to learn more. Contact Laila or Alan after 6pm. A directory for Hunting, Shooting, Fishing, Farming and their associated clubs, businesses and suppliers. Everything you could need for Shooting, Equestrian & Fieldsports, Master Saddler & two Gunsmiths resident. Hawk Force use pigeon deterrents such as Falconry, pigeon spikes, sprung wire and netting to successfully deter nuisance pigeons. Commercial and residential Pest Control for Manchester, Stockport and Cheshire. Commerical and Residential Pest Control Specialists in Manchaster, Stockport and the Chesire area. 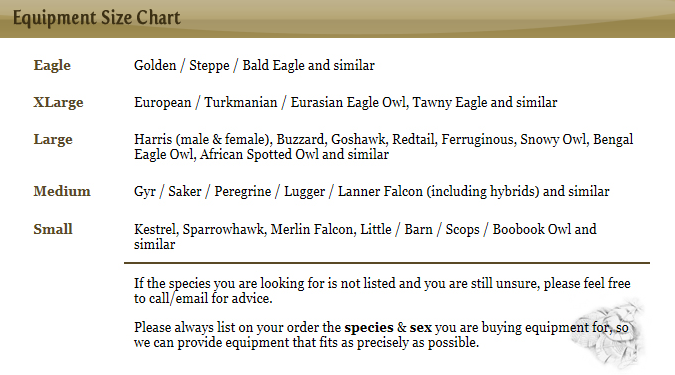 All of these books are available from Westweald Falconry. Please see our extensive book list. And on the subject of books...The dictionary is the only place where success comes before training.